On Sunday 23rd June, Second Chance will be holding a 50's Style Afternoon Tea as one of our 40 fundraising events. 50's theme clothing is optional. 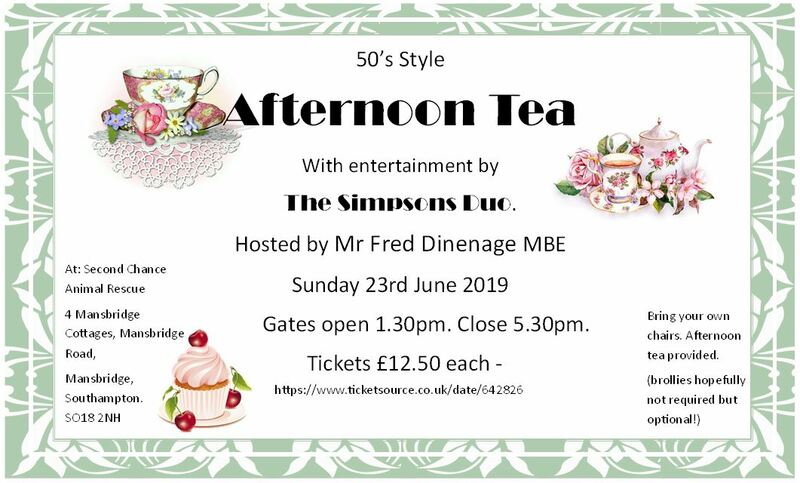 There will be music entertainment from The Simpsons Duo and the event will be hosted by our patron Fred Dinenage MBE. Afternoon tea will be provided. Please bring your own chairs.